Hey friends! Do you ever finish a room and then a couple of years later, realize it’s not actually done? Ya, I do that all the time. 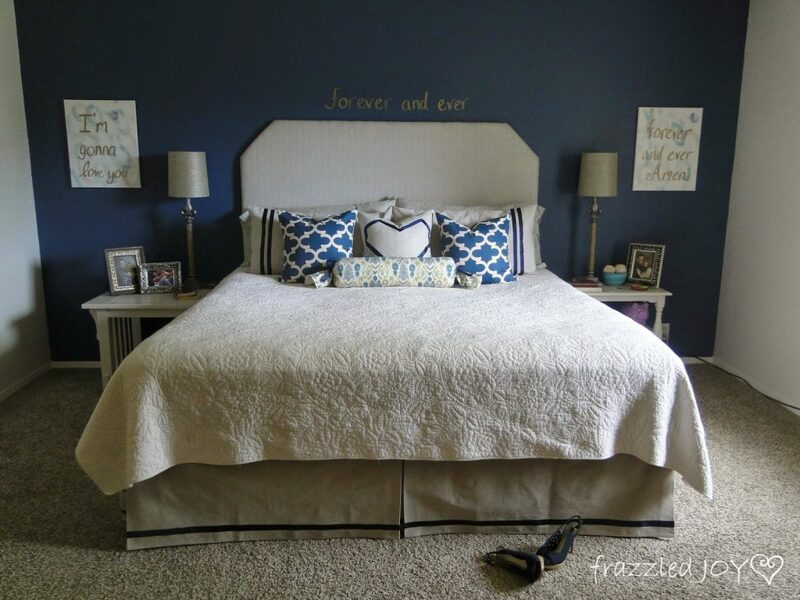 Rooms as well as homes evolve over time folks, so it’s ok. As I was looking back over our past one room challenge projects, I started thinking about our Master Bedroom. Which, was actually my first one room challenge. I loved this room when we ‘finished’ it. But, even then there were a few details that got left out. Either because of time, or because of budget. And, over time I have tired of some of the design. Hey there friends!! I hate to say this will be a regular series, because to be honest, I’m terrible at those!! 😳 But…I’m going to try!! I am always finding things that I love on the interwebs! I try to share them with my hubby, but honestly he doesn’t care most of the time. 😆 He tries his best to act interested, bless him. 😉 So, I thought maybe you would like me to share them with you!! 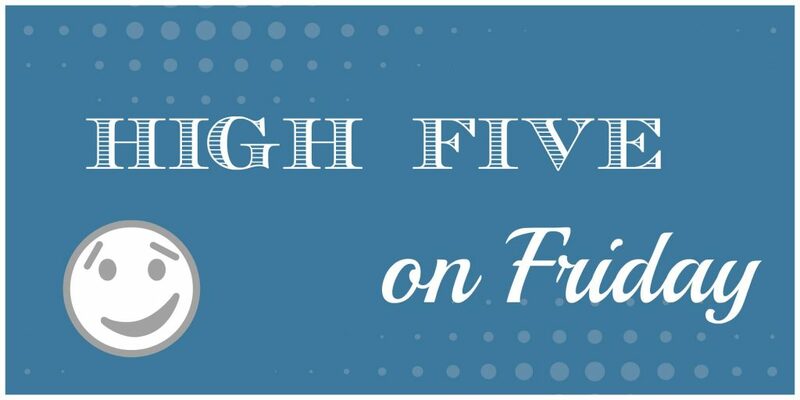 So here we go with “High Five on Friday”! A couple of weeks ago I started a project. I have been pretty short on projects this year. Slow on the draw. I don’t know why, just haven’t had the motivation. But, the weather was warming up so I decided to pull out the paint cans. 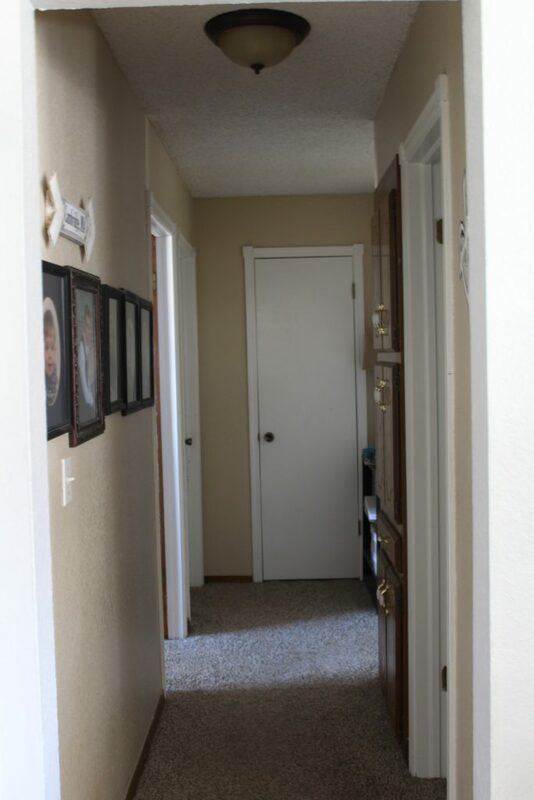 Here is the hallway when I started. Not bad, but not really the style that I have been making our home over the past year. I have been working towards light and bright. So, out came the can of white paint. And here we are now. Still a little bit of work to do (the cabinet doors), but we are headed in the right direction. And, here is the plan. 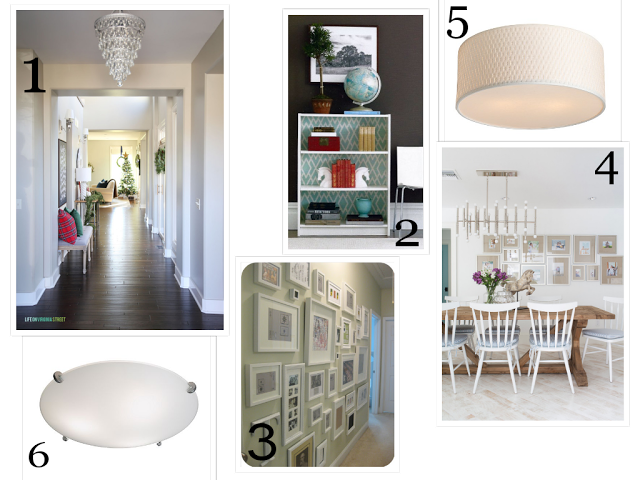 #1 is my dream hallway – Lots of light, wide, tall ceilings, great floors, and awesome light fixtures. 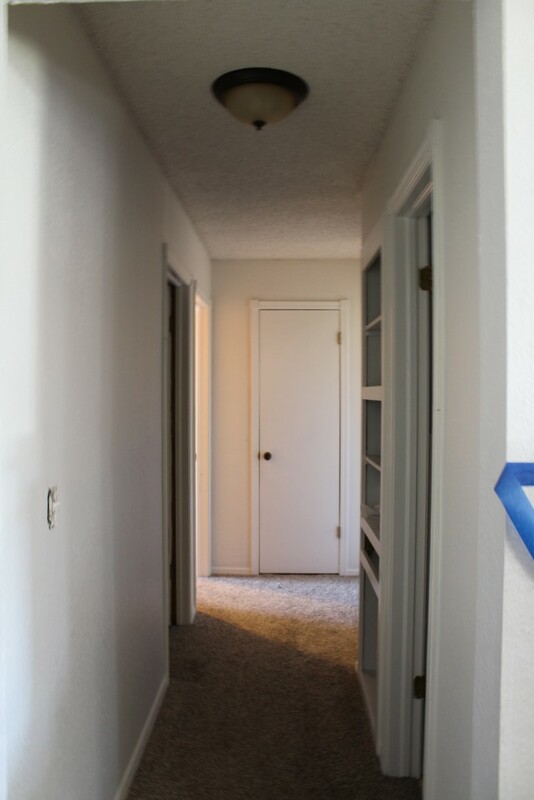 But…you saw my before, and the budget does not allow for gutting and remodeling the hallway. So, we will work with what we have with white paint, new light fixtures, a wall treatment (obviously some sort of gallery wall), and the bookcase will return to the corner of the hall and will need some cute styling. I’m giving myself time on this update. There are a lot of things going on with the kids and family, and a lot of things going on behind the scenes of the blog so I don’t want to spread myself out too thin. That’s the way decorating happens in real life. Am I right?